Creativity Bites Back! : It's Friday the 13th! Or is it Tuesday? It's Friday the 13th! Or is it Tuesday? 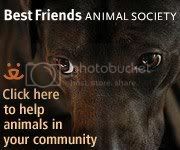 This is a true story. 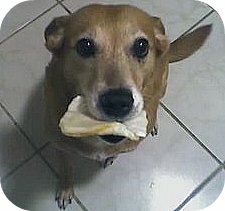 When I was living in Argentina, one day I was talking with a German guy (in English) and he was trying to "show off" some of his Spanish. At least twice during the conversation -talking about his weekend- he said "Martes" (Tuesday) instead of "Viernes" (Friday). The third time he said so, I asked him from where he got the idea that Martes was Friday. The unexpected answer was: "From the movies"
Funny enough, it makes sense. Friday the 13th, the unlucky day for Anglos and for that reason the name of so many terror movies was translated as "Martes 13" (Tuesday 13) in many Spanish speaking countries because in the Hispanic world -and in the Greek too- the day to dread is that one, Tuesday the 13th. 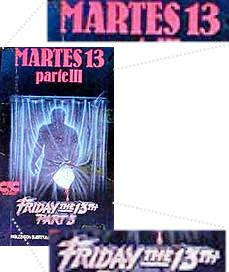 So the guy saw some movie posters for Friday 13 translated as Martes 13 and he assumed Viernes (Friday) = Martes (Tuesday), as you can see in the poster at the top. Later, while traveling around Europe I learnt that in Italy the "bad luck day" is also Friday but... the 17th! What helped me understand why in Argentina both numbers are considered "bad luck", we inherited the 13 from our Spanish ancestors and the 17 from our Italian ancestors. But why the differences in weekdays and numbers? This is how it goes for Tuesday the 13th: Martes is a name that derives from Marte, the god of war. It is considered the planet that rules violence, destruction and blood. The 13 on the other hand, has its roots in several different beliefs: the 13 apostles of the last supper; the cabala talks about 13 evil spirits and according to a Scandinavian legend during a dinner among the gods at the Valhalla, it was Loki -the evil spirit- the number 13. Last but not least in some versions of the Tarot the # 13represents death. It is also the chapter 13 in the Apocalypses the one about the Antichrist. So what about Friday the 13th? The story with the 13 is pretty similar. The last supper, or a Norse myth, that implies that having thirteen people seated at a table will result in the death of one of the diners. The Friday though, is another story. According to Wikipedia: "Friday has been considered an unlucky day at least since the 14th century's The Canterbury Tales, and many other professions have regarded Friday as an unlucky day to undertake journeys or begin new projects. Black Friday has been associated with stock market crashes and other disasters since the 1800s. It has also been suggested that Friday was the day that Jesus was crucified." On the other hand, another theory by author Charles Panati, one of the leading authorities on the subject of "Origins" maintains that the actual origin of the superstition, appears also to be a tale in Norse mythology. "Friday is named for Frigga, the free-spirited goddess of love and fertility. When Norse and Germanic tribes converted to Christianity, Frigga was banished in shame to a mountaintop and labeled a witch. It was believed that every Friday, the spiteful goddess convened a meeting with eleven other witches, plus the devil - a gathering of thirteen - and plotted ill turns of fate for the coming week. For many centuries in Scandinavia, Friday was known as 'Witches' Sabbath." Last but not least, another theory about the origin of the superstition traces the event to the arrest of the legendary Knights Templar. According to one expert when the Knights Templar became extraordinarily powerful and wealthy King Philip threatened by that power and eager to acquire their wealth, secretly ordered the mass arrest of all the Knights Templar in France on Friday, October 13, 1307. I guess that because of the Last Supper and the Nordic and Scandinavian myths that both Anglos and Hispanics tend to consider "bad luck" to have 13 people at a table. And what about Italy's Venerdi (Friday) 17? This one seems to share with the previous one the roots on Friday as a black day in part for the Templar's massacre and in part because it was the day Jesus was crucified. The 17 though, seems to have two theories. One goes back to Ancient Rome: seventeen was XVII, its anagram was VIXI what was pronounced as "vissi" that means "lived" but in the sense of "lived but now is dead". The other explanation goes back to the Bible, from the idea that the "universal flood" started on a 17. As you can see, there is no reason to believe in any of these superstitions (or are you going to fear Friday 13th, Friday 17th and Tuesday 13th from now on?). I am sure that with more research we could find more days and more numbers in different cultures. In fact, if you know of some other dates in other cultures, please let us know. From my point of view, who cares if it is the 13th? It's Friday, a day to enjoy!